Posts Tagged "#app #appdevelopment #vulnerability #speech #slpeeps #specialneeds #edtech"
In this life, we are all vulnerable. We all try to cross the finish lines of our own strengths and weaknesses. I truly believe that children with special needs come to us as the freedom we seek. There is no need to prove themselves, as we often feel we have to do. They exist as an essence of presence to remind us how we need to approach our own lives. When I am surrounded by my clients, I am reminded of magic. Love and value are part of the mere moment we spend together. It is the real baseline, unlike the baseline we utilize with ABA therapy, where our kids start off with less than until we intervene to bring them “to a better, more acceptable way”. But what is better? What is more acceptable? Who decides that? I recently read a blog about “what makes a good app?” The reasons listed included keeping data, use for individual or group therapy, engaging; meaning wanting to look at the app but not too visually overstimulating, linked to research, and fairly priced. As soon as I read this, I immediately felt vulnerable. MY app has recently been released in the App Store which means it’s out there for the world to see. Both fans and critics alike will provide their opinions with or without having had the access to any rationale I may have used. It is a humbling experience to feel you have experience and then second guess your skills based on another’s opinion. For instance, although my app contains 4 out of 5 of ONE person’s opinions, I have been focusing on just the one item…my app does not use analytics for data collection. Now, the critics may not like this, but my reasons are clear. There exists many speech and language apps that utilize analytics for tracking progress. But, this app is a specific tool to allow the child to explore their sound by simply having fun. If, in fact we are interested in bridging the gap between special needs and mainstream population, then there ought to be some material that exists where both “types” of children can use to connect them. There are so many tests and analytics nowadays to judge a child’s performance. But, have we all forgotten what it is to simply have fun? Fun without the expectations of performing? Maybe, if there are opportunities to just “be”, children may perform better. So there you have it…I have faced the vulnerability of the critics and allowed myself the freedom to create based on fun, learning, and bringing children together as one. Because as I see it, we are all just children who do our best to get through a day, to understand a skill, to capture a moment, and to enjoy this gift we call life. This is not to say I disagree fully with testing. It certainly has its place and need. But, sometimes it just doesn’t. Sometimes, it is simply about being and enjoying. If we could all begin practicing that, and let go of this pressure to be accepted and build our skills to the expectations of others, perhaps we would ultimately outperform even our own expectations. 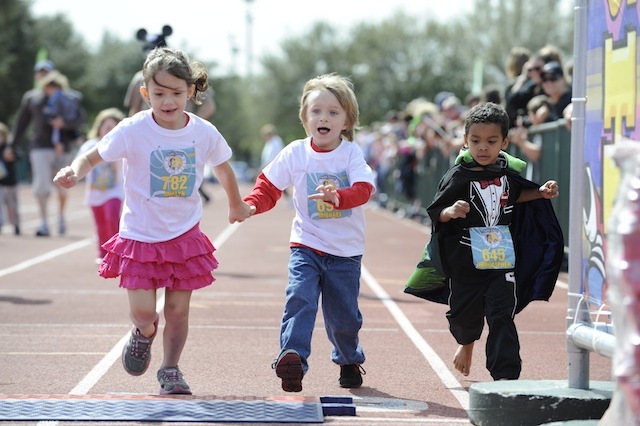 Let’s learn from our children so we can cross the finish line together!